Flood damage can happen due to a variety of reasons like natural disasters, a pipe burst, or rainwater. It may sound odd, but there is a difference between water and flood damage when it comes to claiming either with your insurance. Nonetheless, All Phase Restoration is going to discuss in the following post how to prevent water damage and stay safe during an unfortunate flood in your Windsor home. 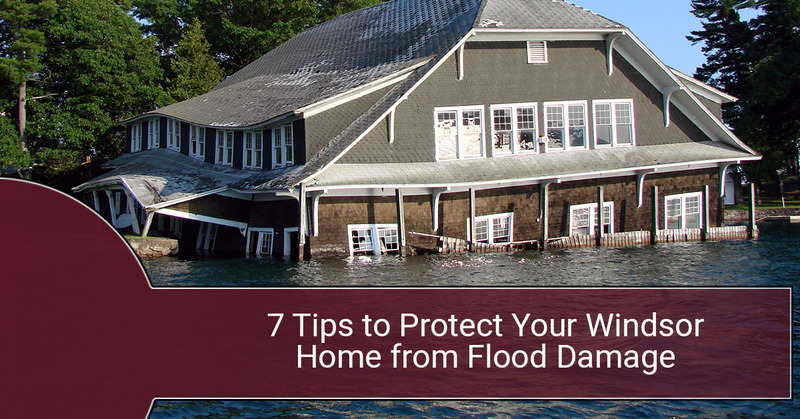 It can be jarring to think your home can flood, but here are 7 tips to keep your valuables and family safe during a flood. At some point, you won’t be able to prevent the actual flooding of your home. It’s unfortunate, but it has to be mentioned up front. It’s important to save any valuable items prior to the flooding if you’re aware that it may happen, and get your family to safety, too. If you’re aware of flooding in Windsor near your home, move your valuable items to higher ground or to the second story of your home. Depending on the severity of the flood, you will be able to save a lot of your things by simply removing them from the potential flood area. Water has carved away at the earth for thousands of years―maybe more. It’s important to take care of your home’s foundation prior to any potential water damage. Foundation cracks should be repaired or filled to prevent the cracks from growing due to flood damage. You’ll want to call a professional foundation repair company in your area to address any home foundation issues. Purchasing your own battery-powered sump pump will add to your efforts of preventing flood damage. Although water can cause a lot of damage, it causes even more damage the longer it sits in your basement or home. Removing the water via a sump pump could mean the difference between saving materials and having to replace them entirely. It’s commonly forgotten that fuel tanks float, even if they have liquid in them. When the electricity is shut off or the power goes out, you’ll need something to run your generator or other specific appliances. To mitigate water damage, you’ll want to shut off your water heater, furnace, and your electricity. This helps prevents costly damage to your home. Once the furnace and water heater are cooled, you can wrap them in waterproof tarps to reduce water damage. Homeowners usually discover whether or not they have check valves for their sewer or septic line after the flooding has started. This means you get backflow, and the basement or other areas of your home may fill with “dirty” water. Find a professional plumbing company in your area to check your lines and confirm you already have check valves or have them install the valves. Finally, if the flooding is severe, you’ll want to get away from the area as soon as possible. Although it’s tough to leave a large majority of your belongings behind, it’s more important that your family is safe. You’ll want to pack a go-bag for each family member, a single duffel bag with a few changes of clothes, basic toiletries, and some healthy snacks. The head of the household should carry the insurance policy number and insurance contact information, cash, and charging cords for phones in their go-bag. Once you have the bags packed, discuss meetup areas and a general plan if the family is separated during the flood, so you can reunite away from the home and stay safe. When it comes to flood damage, your family’s safety is the most important aspect of any prevention efforts. 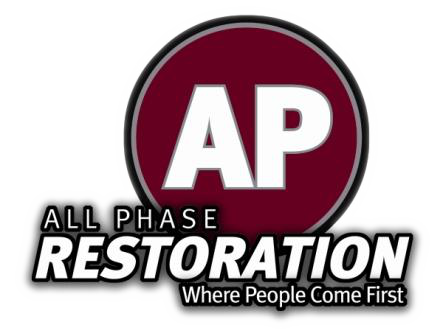 If you’ve experienced flood damage recently and need water or flood damage services, give All Phase Restoration a call today! We’ve been serving the Windsor area for years.